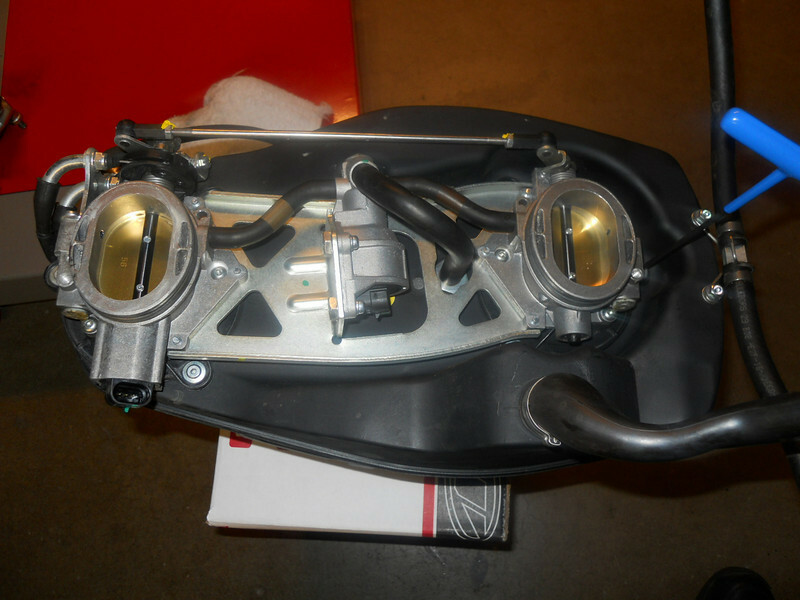 As a single cylinder motorcycle, one of the throttle bodies needs to go. The rear cylinder is coming off and that makes the rear throttle body unnecessary. We need to retain the stepper motor in the middle on the trellis mount that controls the choke circuit.